Today I have some great Halloween decoration ideas for you! I love decorating this time of year and decorating for Halloween can be so much fun. I will show you what I have done in our home, and hopefully you can take away some ideas for yourself! At the bottom of this post I am linking up to more home tours with Halloween decoration ideas, so be sure to read through to the end. 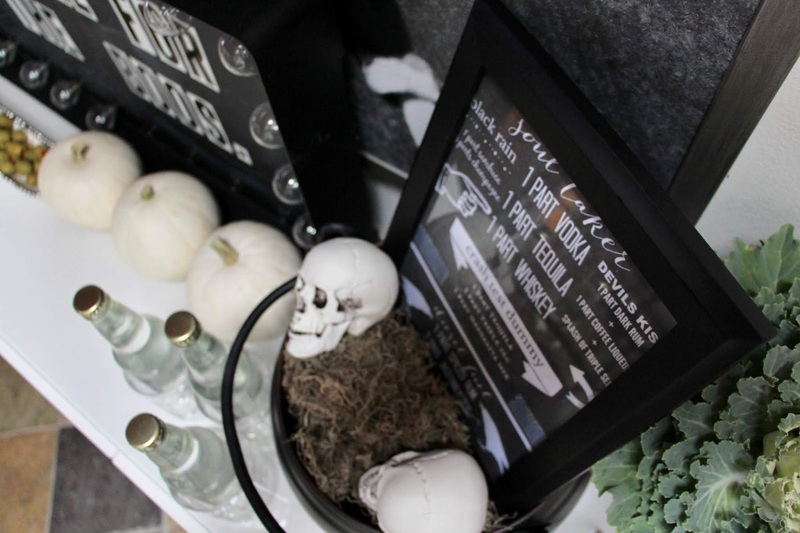 You will not want to miss all the fabulously spooky ideas! 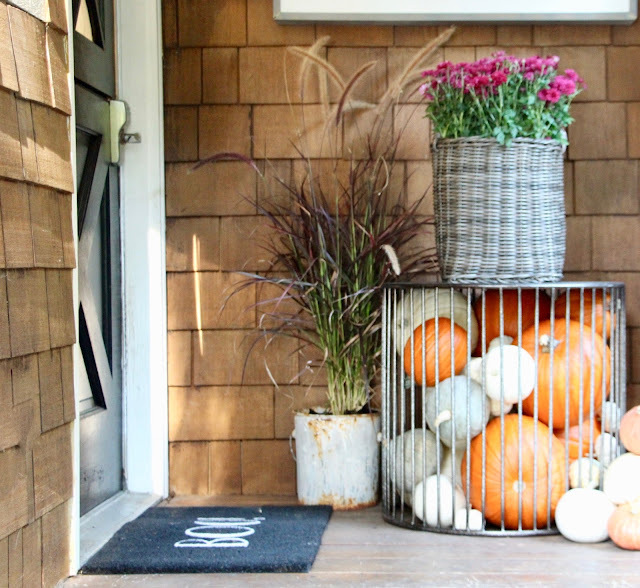 Decorating for the season starts right at my front door. 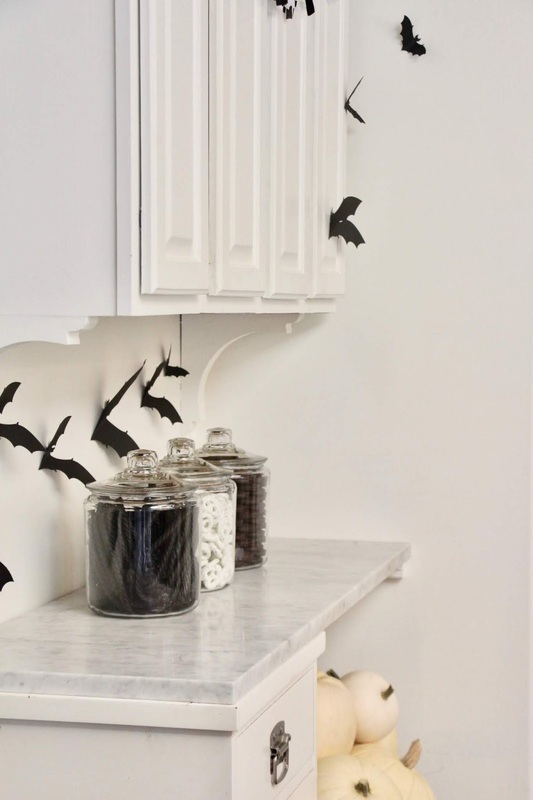 Halloween decor doesn't need to be gory or bloody, it can be done in a tasteful manor too. For my front porch display I used a table I purchased at HomeGoods, filled it with pumpkins and gourds, then carefully placed it right side up. I think it kinda looks like a pumpkin jail, but it keeps my pumpkins safe from our puppy who thinks they are toys to play with. I bought a basket at HomeGoods the same day so I could play with the scale of it in the store. Then a few fall plants from the nursery were all that was needed to finish it off! * quick tip when planting in a basket. 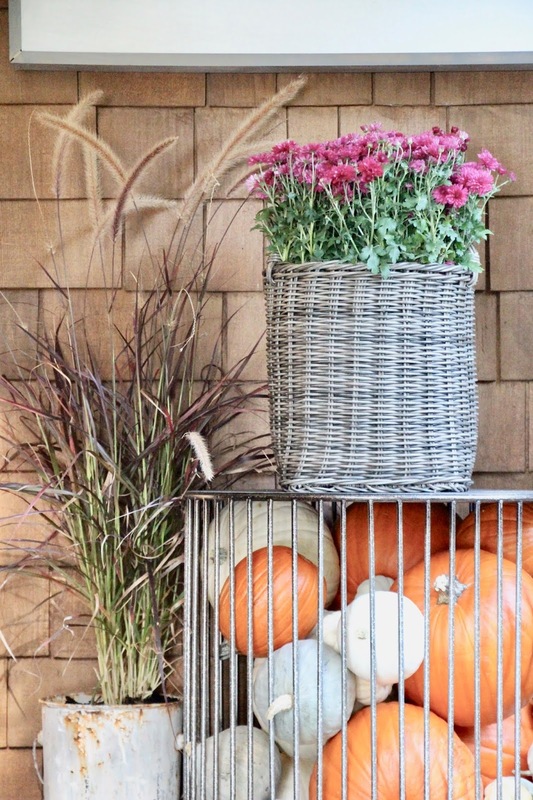 Line with a trash bag as it will keep your basket from rotting. Similar doormat can be found here. In the kitchen I create a candy corner with paper bats and a fun message on the chalkboard door. I filled these jars with black licorice, oreos, and yogurt covered pretzels. I love how the paper bats appear to be flying up to the sky. 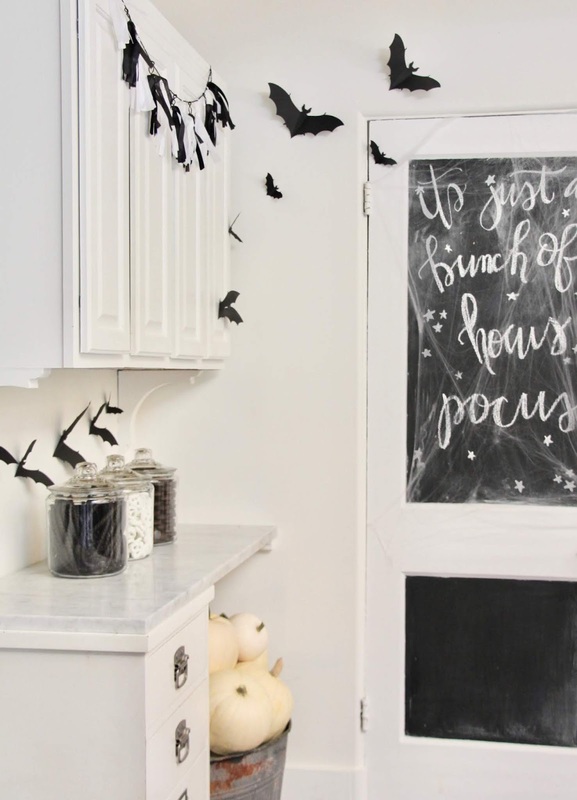 Inexpensive white cobwebs cover the laundry room chalkboard door with it's whimsical saying. 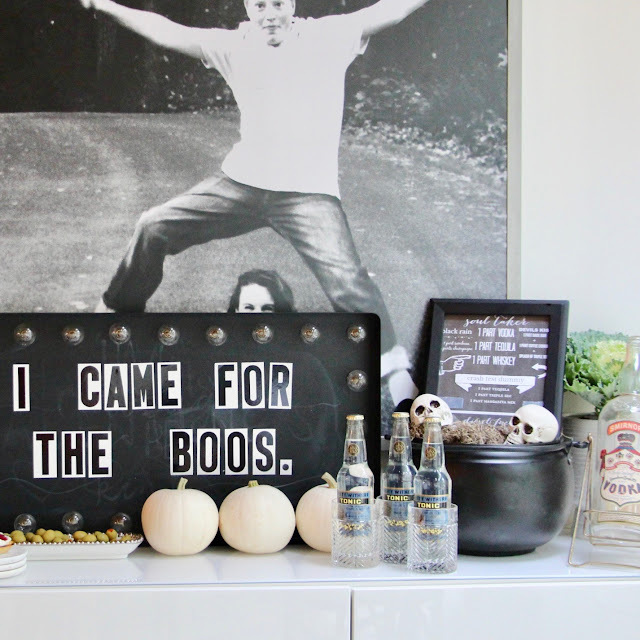 Around the corner in the dining room is the spooky Halloween cocktail bar. You can read more about it right here in this post, along with a FREE printable! 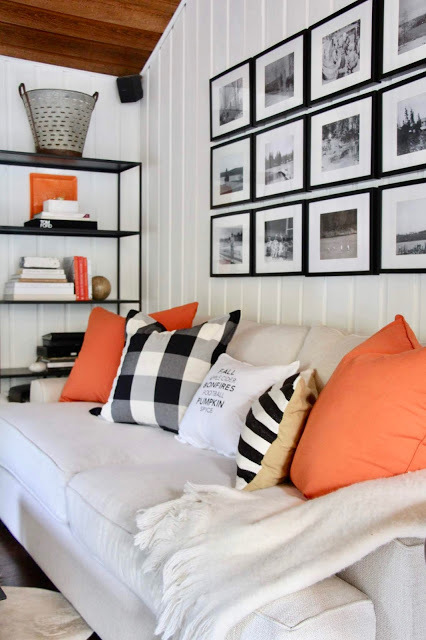 Right off the dining room is the living room with black and white and orange for the holiday. 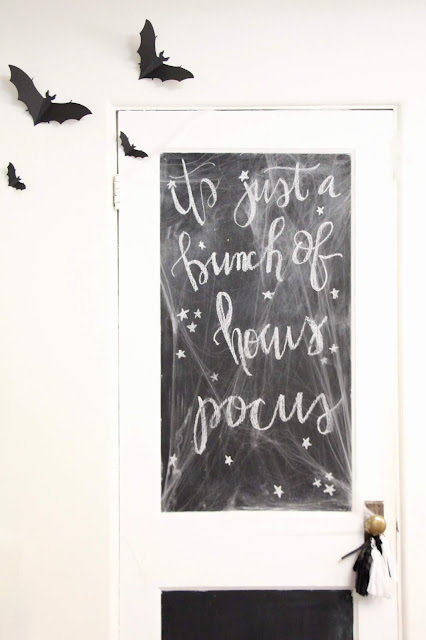 Most everything I decorated with was either something I already had, something I made, or something I picked up inexpensively at discount stores. 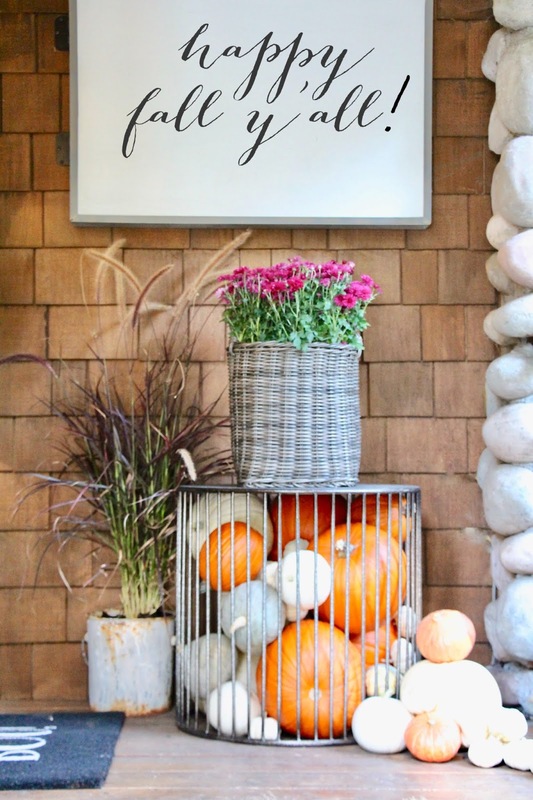 You don't need to spend a lot of money to change the whole look of your rooms for the different seasons/holidays. 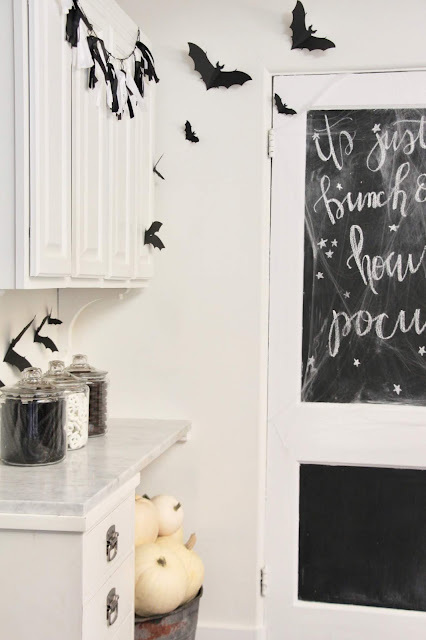 This is one of my favorite stores for Halloween decoration ideas and fun finds. I also find a lot of items here and at different areas of the store here. Still in need of more inspiration? 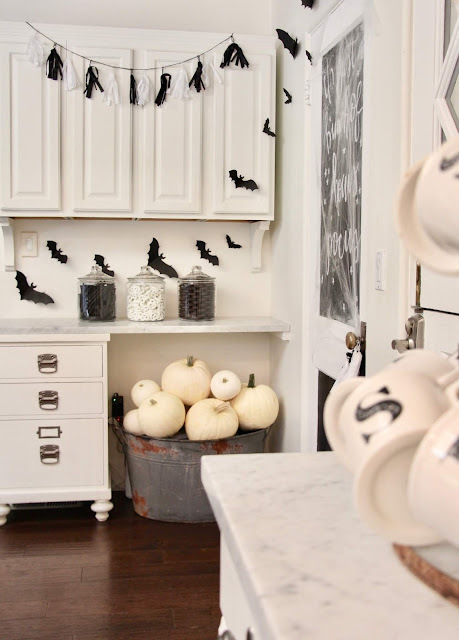 Visit my friends below to see how they have decorated for Halloween!